Hi! I’m Danielle and welcome to Cool Science Experiments HQ! Would you like to create fun memories with your children, and learn something in the process? Do you want an idea for an amazing and unique science fair project? Has the cold or rainy weather kept you stuck indoors and now you are looking for a fun way to pass the time? Are you a homeschooler looking for ideas to make education fun and incorporate science into your curriculum? Do you like to get your hands dirty, have a little fun and make a mess? Cool Science Experiments HQ is designed for anyone ages 1 to 101 who enjoys hands on learning experiences, the wonders of science and most importantly having fun and creating memories! Making Science Fun, Easy to Teach and Exciting to Learn! While I’m not a scientist by trade, I am a regular mom who enjoys spending time with my children. Science has been a wonderful source of entertainment for our family, providing countless opportunities for laughter and learning. Now, I get to share all the the fun and amazing science experiments with you! My hope is that by sharing this information you will experience the joy of science, learn a lot and most importantly create wonderful memories along the way. I’d love to send you updates on fun science experiments you can try at home too! Plus a free copy of my ebook ‘3 Simple Science Experiments for Kids’ so you can get started right away. I’m an introvert. You can imagine how hard it is for me to get in front of the camera for the YouTube videos! I strive to live hands free. Some days are better than others, but it’s something I’m passionate about and committed to. As a child my science fair project made it to the state competition. I may not have won a blue ribbon, but I can vividly remember how much fun I had working on the experiment with my dad. Science is great, but the memories are even better. We got rid of cable years ago, and don’t miss it at all. I can list all 50 states in alphabetical order in song. I’ve found a geocache in 12 different states. Like I mentioned before, my goal is to help you experience the joy of science and make lasting memories in the process. 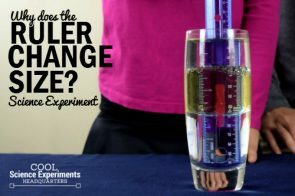 If you have any questions, comments or requests, please shoot me an email at danielle@coolscienceexperimentshq.com. I look forward to hearing from you! 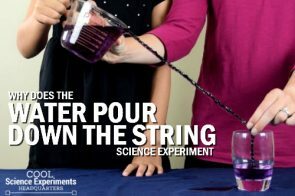 Sign up for science fun delivered to your inbox, including step by step instructions, easy to follow videos and tips to tricks to make science fun!